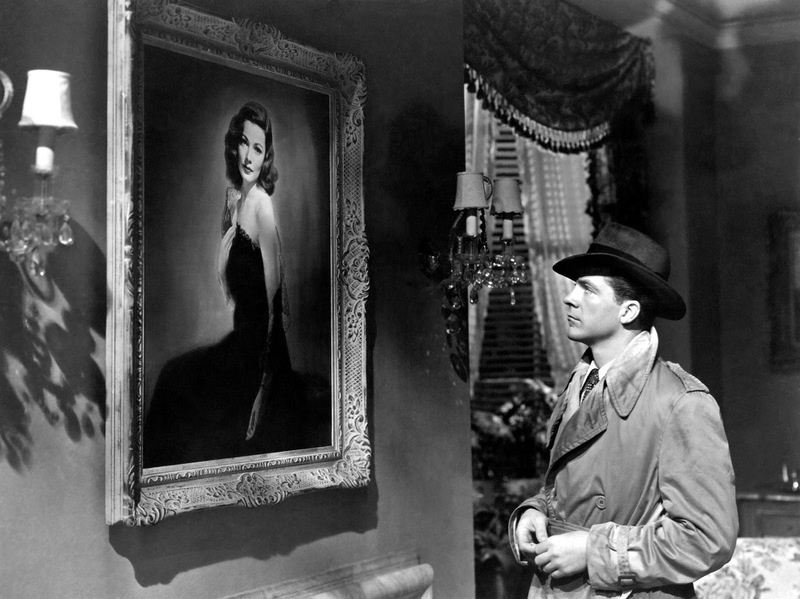 Dana Andrews with a portrait of Gene Tierney in the classic film noir Laura (1944). The film is airing Thursday during a birthday tribute to TCM host Robert Osborne. 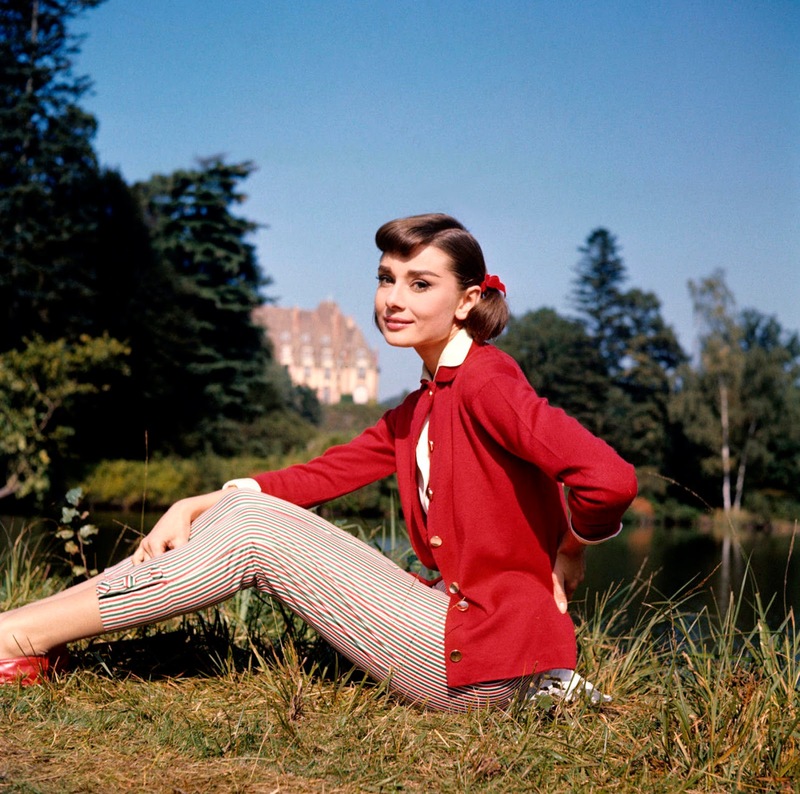 TCM is kicking off May with two nights of classic movie series and birthday tributes to Robert Osborne and Audrey Hepburn. Note: All times are ET, and the highlighted text has links to full-length articles. Here is a link to the full schedule for April 30-May 6. The TCM fan favorite was born Eunice Quedens on April 30, 1908, in Mill Valley, Calif. Arden was appearing in supporting parts on Broadway when her wisecracking appearance in Stage Door (1937) at 6 am Monday made her a sought-after character actor in films like the Catskills spoof Having Wonderful Time (1938) at 12:15 pm, the backstage musical Ziegfeld Girl (1941) at 7:45 am, and the Marlene Dietrich-George Raft-Edward G. Robinson soaper Manpower (1941) at 10:15 am. Arden's rich voice and way-with-a-wisecrack made her perfect for best friend/assistant roles in films like Cover Girl (1944) at 3:15 pm and My Reputation (1946) at 1:30 pm. 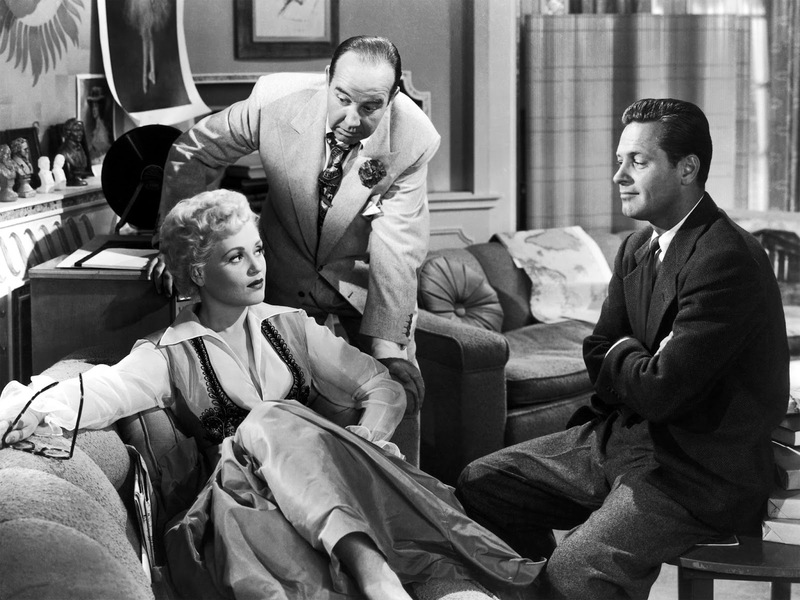 Judy Holliday, Broderick Crawford, and William Holden in Born Yesterday (1950). TCM wraps up its centenary tribute to William Holden with two of his best fifties movies: The romantic comedy Born Yesterday (1950) at 8 pm Monday (IMO, Bill looks even better in glasses) and the drama Picnic (1955) at 10 pm, which features one of his finest performances as a drifter who lands in a small Kansas town. During the early 1960s, the Italian film industry churned out ancient epics that were popular in their native country and in the U.S., especially at drive-in movie theaters. TCM is airing three of these films as part of their daytime lineup of toga movies starting with Hercules, Samson & Ulysses (1963) at 12:30 pm Tuesday, which is a Greek mythology/Biblical mash-up that finds the Old Testament strongman (Iloosh Khoshabe) partnering up with the ancient heroes (Kirk Morris and Enzo Cerusico). 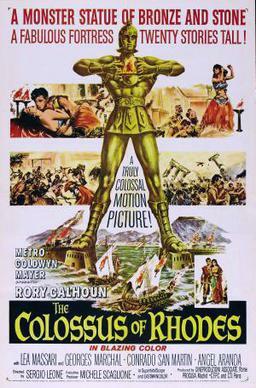 The best of these films is director Sergio Leone's The Colossus of Rhodes (1961) at 2 pm. Lead Rory Calhoun gives a somewhat compelling action-man performance, but the real star of the show is the elaborate recreation of the famed wonder of the ancient world. The Slave (1961) at 6:15 pm is a fascinating "sequel" to Spartacus from future spaghetti Westerns master Sergio Corbucci. 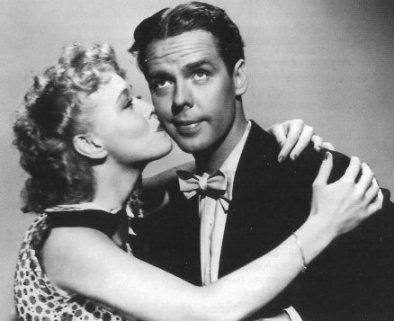 Penny Singleton as Blondie Bumstead and Arthur Lake as Dagwood Bumstead. May's Spotlight on classic movie series starts with six of the 28 Blondie movies made by Columbia Pictures from 1938-1950. These short, breezy movies about the Bumstead family -- wife Blondie (Penny Singleton), husband and sandwich enthusiast Dagwood (Arthur Lake), son Alexander aka Baby Dumpling (Larry Simms), and Daisy the Dog -- feature sitcom-like plots (The Bumsteads take over an inn, Baby Dumpling gets lost, Blondie is jealous of Dagwood's old girlfriend) that are still a lot of fun to watch. The night starts out with Blondie (1938) at 8 pm Tuesday and ends with Blondie Has Servant Trouble (1940) at 3 am. More classic movie series: TCM is airing the first two Mexican Spitfire movies starring Lupe Velez: The Girl From Mexico (1939) at 4:15 am and Mexican Spitfire (1940) at 5:30 am. 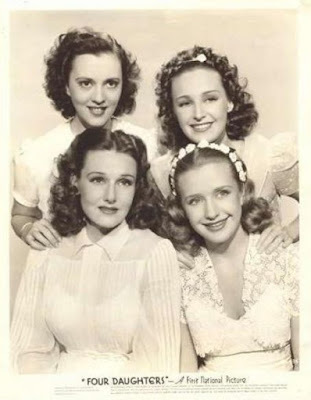 Clockwise from upper left: Gale Page, Rosemary Lane, Priscilla Lane, and Lola Lane in Four Daughters (1938). The three movies Warner Bros. made about the lives and loves of four musical sisters (Gale Page, and siblings Lola Lane, Priscilla Lane, and Rosemary Lane) certainly have their fair share of sentimental mush, but they are also filled with great performances, especially from Claude Rains as the family patriarch and John Garfield and Frank McHugh as suitors. The movies also provide a fascinating view into the lives of American women during the Great Depression and World War II covering milestones like marriage, motherhood, and even being widowed. Four Daughters (1938) airs at 2:45 pm Wednesday with Four Wives (1939) at 4:30 pm and Four Mothers (1941) at 6:30 pm. Even More Classic Movie Series: The morning lineup features five more Mexican Spitfire movies starting with Mexican Spitfire Out West (1940) at 6:45 am and ending with Mexican Spitfire's Blessed Event (1943) at 1:30 pm. Queen of the B's Ann Sothern became a household name as the sassy showgirl Maisie in the 10-film MGM series (according to the TCM database, MGM received lots of fan mail addressed only to "Maisie"). TCM is airing seven of these movies in prime time and late night starting with Maisie (1939) at 8 pm and ending with Swing Shift Maisie (1943) at 5:15 am. 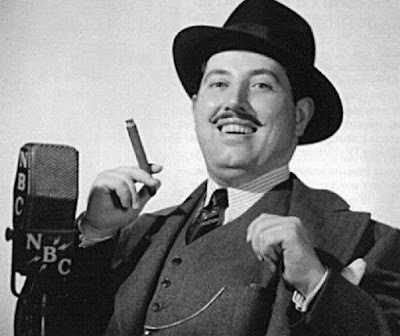 The pompous Throckmorton P. Gildersleeve (Harold Peary) was one of the most popular radio characters of the 1940s, first on Fibber McGee and Molly and then on the spin-off series, The Great Gildersleeve. Peary appeared in two Fibber McGee and Molly movies, Look Who's Laughing (1941) at noon Thursday and Here We Go Again (1942) at 1:30 pm. He also appeared in four Gildersleeve movies. TCM is airing all of them starting with The Great Gildersleeve (1942) at 3 pm and ending with Gildersleeve's Ghost (1944) at 6:45 pm. More Maisie: The morning lineup features three more Maisie movies starring Ann Sothern: Maisie Goes to Reno (1944) at 6:45 am, Up Goes Maisie (1946) at 8:30 am, and Maisie Undercover (1947) at 10:15 am. Laura (1944) at 12:30 am Thursday night/Friday morning: TCM is celebrating beloved host Robert Osborne's May 3 birth date by airing a night of interviews and tributes. They are also airing the great film noir Laura, which was one of Osborne's favorite movies.The resurgence of film noir in the 2000s certainly helped push Laura back into the spotlight, but I firmly believe that Osborne's consistent championing of the movie led to Laura's current and much-deserved status as one of the great American films. Osborne also helped renew interest in the careers of Laura's stars, Dana Andrews and Gene Tierney. These two wonderful actors were often unjustly overlooked until TCM began broadcasting in the mid-1990s (more on Andrews below). The old Hollywood icon was born Audrey Hepburn-Ruston on May 4, 1929, in Ixelles, Belgium. 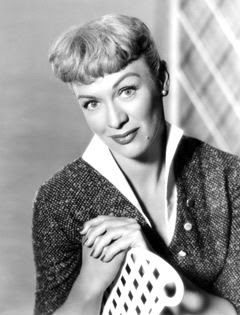 She first gained attention in British films like the comedy We Go to Monte Carlo (1953) at 6 am Friday, before rocketing to international stardom in movies like the Billy Wilder-directed romance Love in the Afternoon (1957) at 7:15 am. Hepburn took on more challenging parts as her career progressed: She played a girl with seemingly mystical powers in the adventure film Green Mansions (1959) at 9:30 am and an idealistic young woman who takes holy orders in the excellent drama The Nun's Story (1959) at 11:15 am. Hepburn returned to the top of the box office with the caper movie Charade (1963) at 2 pm. She mostly retired from films after making the marital drama Two For the Road (1967) at 4 pm and the suspense classic Wait Until Dark (1967) at 6 pm. Anthony Quinn, Dana Andrews, and Francis Ford in The Ox-Bow Incident (1943). 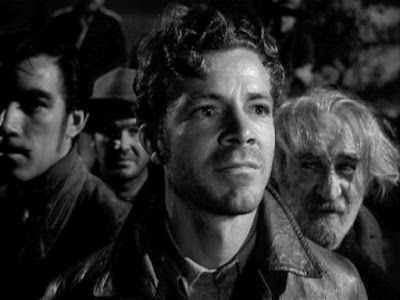 The Ox-Bow Incident (1943) at 10:15 pm Saturday: Director William Wellman's landmark Western about a lynch mob has several compelling performances, but none more so than Dana Andrews as one of three men (the other two are played by Anthony Quinn and Francis Ford) who are falsely accused of cattle rustling and murder. Andrews plays a family man who is leaving behind a wife and children, and his character's plaintive desperation and quiet courage retains a visceral power that can still move audiences decades after the movie's release. More Westerns: A night of frontier justice kicks off with Yul Brynner leading The Magnificent Seven (1960) at 5:45 pm while lynching victim Clint Eastwood is out for revenge in Hang 'Em High (1968) at 8 pm. 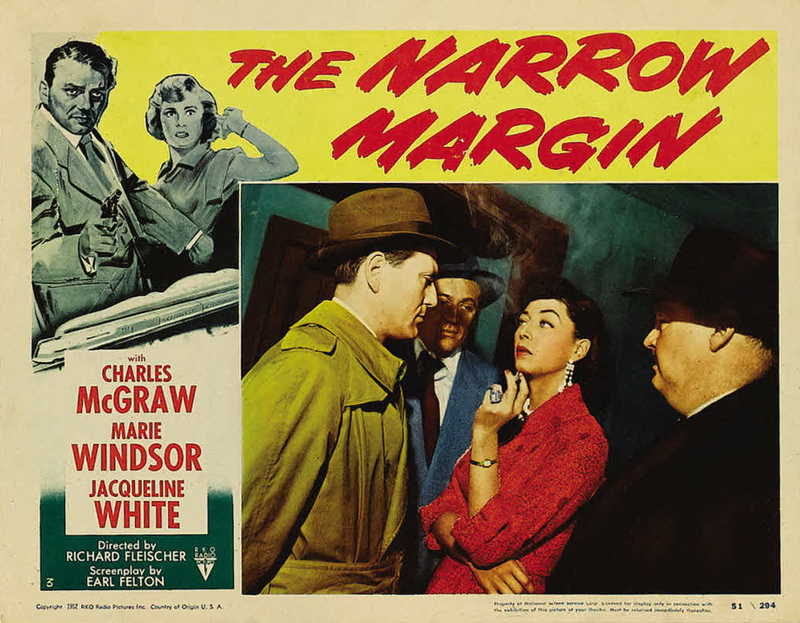 The Narrow Margin (1952) at midnight Saturday night/Sunday morning and 10 am Sunday: Cop Charles McGraw is responsible for protecting a gangster's widow on a cross-country train ride in this suspense-filled thriller with an unexpected twist. 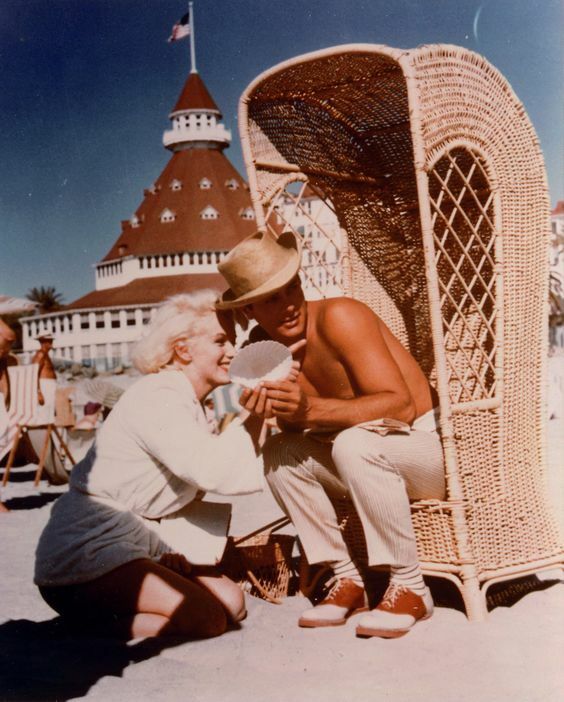 Some Like It Hot (1959) at 10 pm Sunday: Marilyn Monroe and Tony Curtis outside the Hotel del Coronado in San Diego while filming the comedy classic. It (1927) at 12:15 am Sunday night/Monday morning: Old Hollywood's original "It girl" Clara Bow plays a spunky flapper who tries to captivate her rich boss (Antonio Moreno) with her charms in this fun rom-com that made Bow a Roaring Twenties icon. May is going to rival April for the great and fun movies on tap. I love TCMs tribute to movie series. Wish I could laze around on those days and gorge myself on Blondie and Gildersleeves and Torchy, etc. I'm going to work really hard on trying to "laze". I'm looking forward to the movie series too. So much movie fun, so little time.